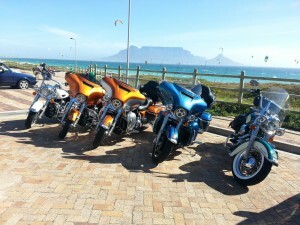 Combine the thrill of riding a Harley along scenic country roads and across winding mountain passes with golf on some of the best golf courses in the Western Cape on our 14 day Harley Davidson Golf Tour. Day 1 – Arrival in Cape Town. Table Mountain and welcome dinner. 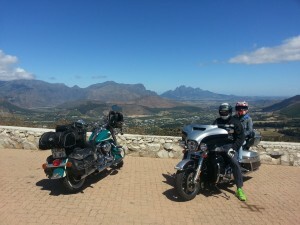 Day 2 – Collecting your bike, Bloubergstrand, Tulbagh and Bains Kloof Pass. Day 3 – Round of golf at Boschenmeer, Pearl Valley or Paarl Golf Course. Optional ride to Franshhoek and Stellenbosch. Day 4 – Du Toits Kloof Pass, Montagu and Route 62. Day 5 – Route 62 through the Langekloof Mountains, St. Francis Bay. Day 6 – Round of golf on the St. Francis Golf course, optional ride to Cape St. Francis or relax at the lodge. Day 7 – Garden Route, Tsitsikamma forest and Nature Valley, Plettenberg Bay to Knysna. Day 8 – Round of golf on one of the excellent courses in and around Knysna, Simola, Pezula or Fancourt. 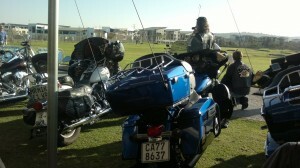 Day 9 – Garden Route, Mosselbay to Port Beaufort /Witsand. 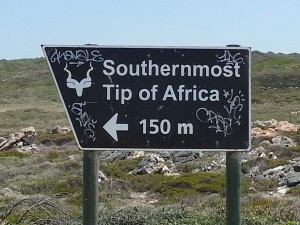 Day 10 – Southern most point of Africa Cape L’Agulhas, Hermanus. Day 11 Round of golf at the Hermanus Golf Course or at Arabella. Day 12 – Somerset West via Gordens Bay, the Cape of Good Hope back to Cape Town via Chapmans Peak Drive. 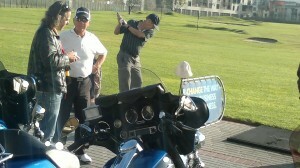 Day 13 – Return bikes, round of golf either at Steenberg or Westlake Golf Course. Groot Constantia. Day 14 – Transfer to the airport in time for your flight home.